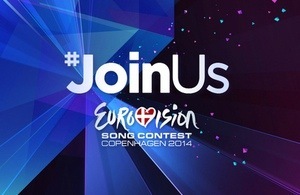 It is taking place in Copenhagen, Denmark from 6 to 10 May at the B&W Hallerne Arena. Copenhagen is located on the eastern side of Denmark on the Island of Sjælland (Zealand). As well as the advice given below, please also consult the general Foreign and Commonwealth (FCO) travel advice for Denmark. Passports, visas and travel insurance. British citizens do not need visas to enter Denmark. Your passport should be in good condition and remain valid for the duration of your stay in the country. Full travel insurance is recommended. You should also bring your European Health Insurance Card (EHIC). The EHIC card will give you access to Danish health care if you have an accident or suddenly become ill. You will receive the necessary state-provided medical healthcare, however anything longer term may require you to return to the UK and therefore insurance is always recommended. A map of the B&W Hallerne Arena (also known as the paintball arena) and the surrounding area can be found on Google maps. Visits to the consular section are by appointments only. The consular telephone lines (number as above) are open from Monday to Friday 9am to 5pm. In cases of emergency, there is a 24 hour response line which is reached through the same telephone number. You can also email our consular enquiries on consular.copenhagen@fco.gov.uk if you have questions or wish to seek assistance. However, please also be aware that if your query is answered by the information provided in the automated reply then we may not take further action to respond to your query. This entry was posted in travel and tagged Eurovision Song Contest, Foreign and Commonwealth Office. Bookmark the permalink.